Located in Southern Vermont, Stratton Mountain is one of the tallest peaks in New England at 3,936 feet in elevation. The ski area features a variety of trails served by a network of high capacity chairlifts. Magic and Stratton opened their new lifts today. Doppelmayr's brand new lifts remain under construction. Ski areas are scrambling to get work done before the ski season. The Snow Bowl Quad at Stratton will replace the Black Chair. Alterra is currently working through the state permitting process for the new lift. 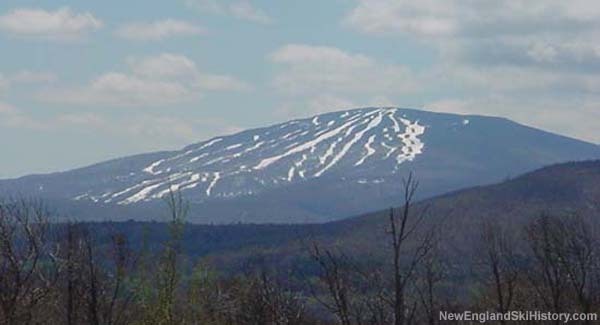 The transaction is the third large ski area sale in New England in recent months. Sale and lift replacement rumors have increased in recent years. Stowe is now one of three Vermont ski areas with $100 or more day ticket prices. Lift crews are on site at Sugarbush and Haystack.